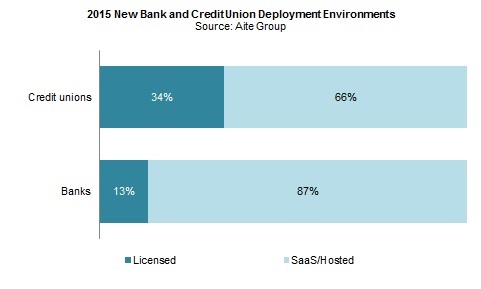 About 87% of banks’ and 66% of credit unions’ 2015 core replacement contracts were for hosted deployments. Boston, July 13, 2016 – All financial institutions need to address increasing pressure from customers and regulators, quickly launch new products, and operate as efficiently and cost-effectively as possible. Core banking systems are the lifeblood of a financial institution’s technical architecture and thus play a critical role in its ability to meet these demands. Moreover, these systems must account for two key trends within the core banking space: tighter integration and the shift toward hosted solutions. This research highlights the importance and driving factors of these two needs as well as U.S. technology providers’ progress toward meeting them. Aggregating its conclusions from the information Aite Group collected from the vendors between February 2016 and May 2016, it profiles six leading U.S. vendors: COCC, CSI, D+H, FIS, Fiserv, and Jack Henry & Associates. This 42-page Impact Report contains 11 figures and 11 tables. Clients of Aite Group’s Wholesale Banking & Payments or Retail Banking & Payments services can download this report. This report mentions Accenture, Corelation Inc., CU-Answers, EPL, Infosys, Intellect Design Arena, Misys, Nymbus, Oracle, SAP, Synergent, TCS, Temenos, and VSoft Corporation.